In Capital One’s seemingly omnipresent ad campaign, viewers are asked, What’s in your wallet? A better question for consumers, however, would be, What do you want from what’s in your wallet? Because while there are cards catering to every need, if not every want, there’s no single card that delivers it all. So when choosing a card, it’s important to focus on which of the many available perks are worthwhile and which are extraneous—not least because the cards’ annual fees can reach a sobering $450. With more options than ever, the choice is as difficult as it’s ever been. And as crucial. With the easing of the credit crunch, credit card issuers have been on a customer-acquisition binge, rolling out shiny new cards, adding luster to old cards with new benefits, and offering ever-more generous incentives to sign up for the cards. And of all the species and sub-species of credit cards, those that award miles and points—the travel-rewards cards—have come in for the most attention. Today, for travel-rewards chasers, miles and points are a given. But they’re just the beginning. Want more miles, status, reduced fees, award discounts? There are cards for those, and other benefits as well. Following are the key card-related benefits currently on offer for travelers, together with some of the cards that feature them, and the annual fees to keep them in your wallet. Purchasing an annual airport lounge membership from one of the full-service airlines generally costs between $300 and $500. Or you could pay $399 to join Priority Pass, which affords members access to 600 airport lounges at around 325 airports. Or you could sign up for any of several credit cards that feature access to the lounges of one or more airlines. The American Express Platinum charge card (annual fee: $450), for example, gains cardholders entry into the lounges of American, Delta, and US Airways, plus Priority Pass membership. With the Continental OnePass Plus MasterCard (annual fee: $85, waived the first year), cardholders are entitled to two day passes to Continental’s Presidents Club lounges after the first and subsequent years. And the pricier Continental Presidential Plus MasterCard (annual fee: $395) comes bundled with full Presidents Club membership. Annual membership in United’s Red Carpet Clubs is also a featured perk of the Mileage Plus Club Visa card (annual fee: $375). Card issuers are quick to point out that the high annual fees for these cards are offset by the value of the lounge memberships. True, in theory. But in practice, only true frequent travelers who actually have occasion to check into the lounges will get their money’s worth. Foreign transaction fees can add as much as 3 percent to the cost of goods and services charged when traveling outside the U.S. So for international jet-setters, credit cards that don’t charge the fees enjoy a significant value advantage over those that do. Curiously, since it’s never been known for issuing cards targeted at overseas travelers, Capital One led the industry in offering credit cards free of foreign transaction fees. But today, the fees are being waived by an increasing number of rewards cards, including the following: American Express Platinum and Centurion; United Mileage Plus (Club Visa only); Continental (Presidential Plus card only); British Airways Visa (annual fee: $95); InterContinental Priority Club Visa (annual fee: $49, waived the first year); Marriott Rewards Visa (annual fee: $30, waived the first year); Hyatt Visa (annual fee: $75); Chase Sapphire Preferred card (annual fee: $95, waived the first year); Citi ThankYou Premier and Prestige cards (annual fee: $125 and $500, respectively). Checked bag fees have become a painful fact of travel life. The cost to check a single bag is typically $25 each way, $50 round-trip. Multiply that by the number of trips per year and the costs quickly become significant. 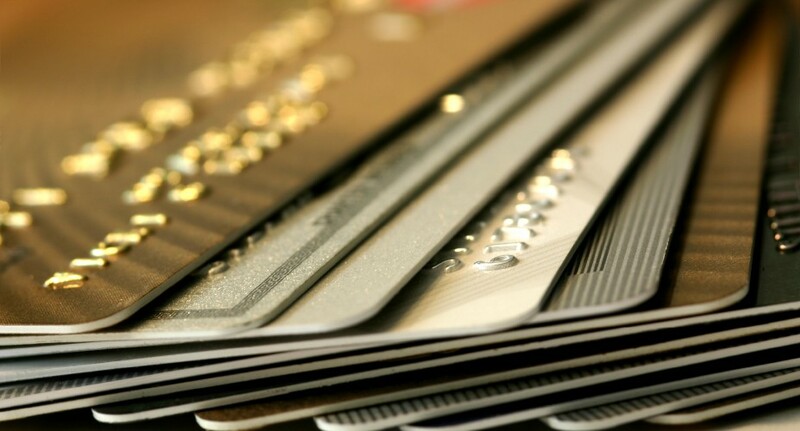 There are credit cards that can mitigate that pain. With the Continental OnePass Plus MasterCard, for example, cardholders get their first checked bag fee waived when flying on Continental and charging their tickets to the card. And with the more expensive Continental Presidential Plus MasterCard, the fee for the second checked bag is waived as well. The deal is even better for Delta customers who have Gold, Platinum, or Reserve Delta SkyMiles credit cards (annual fees: $95, $150, $450) in their wallets. The first bag is not only fee-free for the cardholder, it’s free for up to nine people traveling on the cardholder’s reservation. Taking a slightly different tack, the American Express Platinum card offers cardholders a $200 credit toward miscellaneous airline fees, including those for checked bags. To gauge the intensity of card issuers’ resolve to increase their share of consumers’ charge activity, one has only to consider the unprecedented generosity of their new-member acquisition promotions. Today, an airline card that offers less than the number of miles required for a free ticket isn’t likely to get a second look from consumers who’ve been trained to expect more. Much more. Sign-up bonuses of 50,000 and 75,000 miles are increasingly common. And at the top end, two recent offers have reached and even exceeded the 100,000-mile mark. And upping the ante even further, Capital One was offering up to 110,000 miles for new Venture card customers who could prove that they’d earned at least 100,000 miles in any one of many airline programs. The promotion ended when the company gave away the allotted 1 billion miles, in just 25 days. Yet another card-related perk is discounts on award prices. With the Citi AAdvantage cards (annual fees: from $50), cardholders are entitled to discounts on a selection of flights that changes quarterly. Prices for domestic first-class award tickets are discounted from 50,000 miles normally to 42,500 miles, and coach awards are reduced from 25,000 to 17,500 miles. That’s a 15 percent discount on first class, and a 30 percent discount on coach award flights. One negative: the discounted award bookings must be made by phone, for which there’s a $20 service charge. US Airways recently added award discounts to the list of benefits for the Premier and Premier World MasterCards (annual fees: $49 and $89, respectively). Cardholders can book domestic coach award flights for 20,000 miles, a 20 percent discount from the 25,000 miles normally required. Miles that qualify for elite status have traditionally been restricted to those miles earned by flying on the airline hosting the program and its closest airline partners, generally those co-participating in one of the major global airline alliances. Increasingly, the exception to that rule is miles earned for charges to airline credit cards. For example, the Continental Presidential Plus MasterCard awards 1,000 elite-qualifying miles for every $5,000 charged to the card. The Delta Platinum credit card allows SkyMiles members to earn 20,000 elite miles annually, and the Reserve card raises that limit to 30,000 miles. With the United Mileage Plus Select Visa card, cardholders can earn up to 5,000 elite miles per year. And US Airways’ Premier MasterCard allows cardholders to earn up to 10,000 elite miles per year. In the hotel sphere, where elite perks are less valued, some cards linked to frequent-stay programs offer status outright. With Marriott’s Visa card, for example, Rewards members get Silver elite status automatically. InterContinental Priority Club Visa cardholders receive Gold elite status. Silver elite membership is accorded HHonors members who hold either of the no-annual-fee Hilton-affiliated credit cards. It would be tempting to sign up for the card that offers the perk of most interest at the lowest cost. Before committing, however, consider the big picture. Credit cards and travel loyalty programs form a particularly virtuous circle: The programs, with their extensive networks of earning and rewards partners, make the credit cards more valuable; and the cards, by adding a rich source of extra miles, make the programs they’re affiliated with more rewarding. In other words, don’t put a card in your wallet unless you’re equally enamored of the program it’s linked to.